Third generation manufacturer for 37 years, now nation wide stair designer and supplier of wood, metal, mixed mediums, glass, bronze. 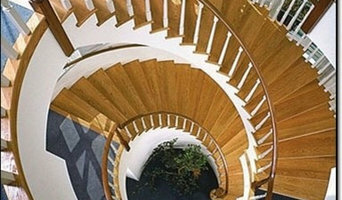 Spiral and circular stairs, all styles; designed; finished; installed. 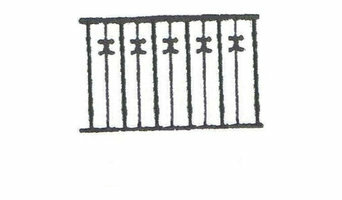 Modern Metal Solutions was founded on the principles of careful planning, accuracy of details and clear communication. Chris Aubrey founded Modern Metal Solutions after 25 years of hands on experience working with Architects, Engineers, Contractors, Fabricators and Installers. Chris’s work in drafting and detailing was often the nexus where miscellaneous and architectural metal projects came to successful fruition. Chris decided to form Modern Metal Solutions (MMS) when he realized the best way to handle any metal project is to have a single point of contact directing every facet of the work. He assembled an elite team of industry professionals who can expertly handle the most challenging aspects of architectural and ornamental metals. Through a strategic business alliance, MMS has become the architectural arm of GMFCo, one of the most diversified custom metal fabricators in the United States. We’ve helped manage, manufacture and install everything from the most elegant commercial and residential stairs throughout Northeastern Cities to unique custom stainless steel door frames for a private residence in Aspen, Colorado. MMS is the single source for successfully handling the toughest metal fabrication projects – end to end. Feel free to contact Chris Aubrey if you have any questions about Modern Metal Solutions or need help with your next metals project. Call us at (603) 402-3022 or Click the "Contact Me" button to send us a message. We look forward to working with you! 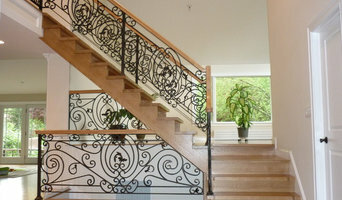 G&E Steel Fabricators, Inc. is a family owned and operated miscellaneous metal fabrication business based in Salem, MA. G&E Steel was founded by Antonio Ciasullo, an Italian-American master artisan with over 30 years of experience in the steel fabrication business. Today Antonio is in partnership with his two sons, Gino and Emilio. Gino is a graduate of Bentley College and serves as the company President. Emilio, an engineering graduate from Worcester Polytechnic Institute, serves as Vice-President and Project Manager. Charles Leonard Steel Services is a full service miscellaneous metals fabrication and erection company. 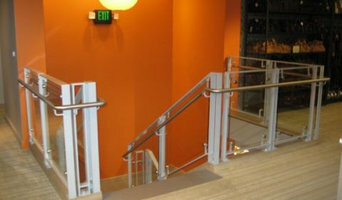 We specialize in steel stairs, rails, glass railing systems, stainless steel and aluminum fabrication. With a 20,000 square foot state of the art facility, and a highly skilled staff, we can accommodate any size project. CLSS is a complete one stop shop including engineering, calculations, drafting, project management, and field erection. We Are A Company Providing High quality Custom Woodworking. We have a group of talented carpenters that have dedicated their careers and lives to the art of woodworking .